Although Martin Avenue Pharmacy Inc. has been compounding for over 30 years, the profession of pharmacy was founded in the art and science of compounding medications. The beginning of compounding dates back to medieval times with priests, monks, and medicine men. Specialization first occurred in the early 9th century in the civilized world around Baghdad. Over time it gradually spread to Europe as alchemy evolved into chemistry as doctors began to abandon beliefs that were not demonstrable in the physical world. 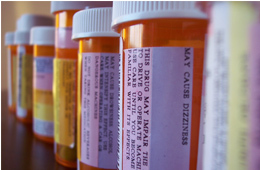 During this time, doctors began prescribing medications to patients. Pharmacists then began compounding these prescriptions and producing them in mass quantities for general sale. It was not until the 19th century that there was a distinct difference between the pharmacist as a compounder of medications and the physician as the therapist. In the 1930’s and 1940’s, approximately 60 percent of all medications dispensed were compounded. Then in the 1950s and 1960s, with the creation of commercial drug manufacturers, compounding declined. It was during this time that a pharmacist, known as a compounder or apothecary, became known as a dispenser of manufactured drugs. In the 1980’s and now in the 1990’s, patients and doctors are realizing the need for specific doses and customized medications. Today, almost 43,000 compounded dosage forms are dispensed each day. In the 1990’s, even with the popularity of compounding growing again only a few pharmacists can be known as a compounder or apothecary, because this technique was forgotten by most.